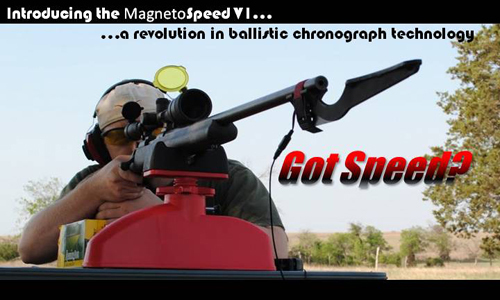 MagnetoSpeed V1/V2 Barrel-Mounted Ballistic/Shooting Chronograph: Fast and Accurate! | DefenseReview.com (DR): An online tactical technology and military defense technology magazine with particular focus on the latest and greatest tactical firearms news (tactical gun news), tactical gear news and tactical shooting news. 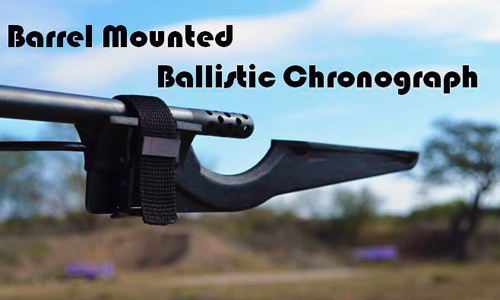 MagnetoSpeed V1/V2 Barrel-Mounted Ballistic/Shooting Chronograph: Fast and Accurate! Looks like someone just invented a more convenient ballistic/shooting chronograph. DefenseReview (DR) contributor Jeff Gurwitch found this one and sent it to us a few days ago. It's called the MagnetoSpeed V1/V2, and it's pretty cool. According to the company literature, the MagnetoSpeed is a barrel-mounted chronograph that "uses electromagnetic sensors (patent pending) to detect the presence of the bullet. These sensors are immune to muzzle blast, which allows the sensors to be located near the muzzle. As an added benefit, these sensors are immune to common light problems such as fluorescent lights, low sun, bright sun, etc." Sounds pretty good. There's more. The MagnetoSpeed tech page goes on to explain that its "unique method determines velocity by sensing the difference in time between a slight disturbance in two magnetic fields as the bullet passes by. This is somewhat similar to the way that an electric guitar senses the vibration of its strings to produce amplified tones." – Simple design works for most rifle and shotgun applications. – Works on barrels up to 1.0" in diameter. – Works on barrels/suppressors up to 2.0" in diameter. – Adapts such that the sensor deck can be close to bullet edge. – Uses spacer shims to accomplish adaptation. – Blast beam is stretched 1" for larger brakes. – Rubber heat shield for strap included (suppressors). – Alignment stick included to aid in spacer setup. Next: Defense Distributed (DefDist) Liberator Pistol: World’s First Completely 3D-Printed, (Almost) All-Polymer “Wiki Weapon” Gun. Will it Float?